After last weekend its been a bit quiet on the Transformers 4 news front. My guess is they started filming on private property so that allowed them to circle the wagons more effectively and keep the public away. 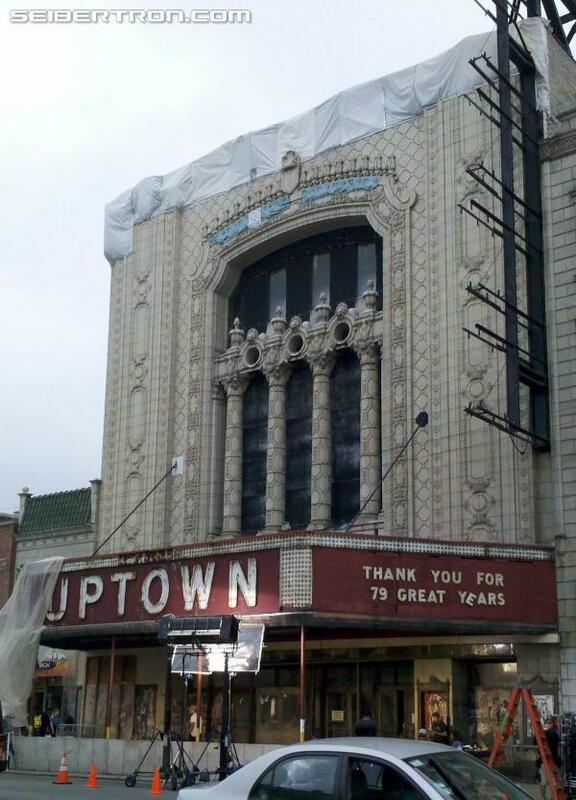 However, that did change just a touch when production moved to Broadway Avenue on Wednesday and Thursday to film at the old style movie palace called the Uptown Theatre. No clue what was filmed at the landmark but Mark Wahlberg and TJ Miller were spotted at the location so a continuation of the early chase sequences in the film and not part of any China related action. A gallery of images can be found at Seibertron.com. Related is a compilation video from Chicago Tribune's Luis Gomez of last weekends filming. Also added an image of a new TF4 hat with claw marks spotted on a crew member, a likely reference to the Dinobots. Update: It turns out that TF4 production "weekend" is Monday and Tuesday so that is why no filming on those two days. Also Gomez has posted an article about the filming. He noted that the interior of the theatre had a sign for "SXSW Music Fest Jun 8, 2002", the "Star of Texas Liquor & Wine" fake store front, and "Crew Bar & Grill" decorated with Texas state flag indicates that the settings is for theatre in Austin, Texas where the annual South By Southwest festival is held. Also, as indicated by a previous letter, there is a good chance that filming will return to Lake Shore East area on Saturday and Sunday. 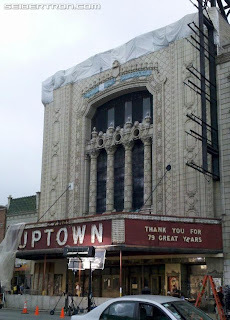 Are they still filming in Uptown today? On imdb it says the freightliner truck is megatron. IMDB is never reliable. They don't know anything, they just guess. Isabelle Cornish, Margaret Qualley and Gabriella Wilde auditioned for the daughter role before Nicola Peltz was cast. Landon Liboiron, Luke Grimes, Luke Mitchell, Hunter Parrish and Brenton Thwaites auditioned for the daughter's boyfriend role before the role went to Jack Reynor. The story is set to take place four years after the final battle in Chicago, from Transformers: Dark of the Moon. Paramount Pictures entered an agreement with teaming with the Chinese film companies China Movie Channel and Jiaflix Enterprises, to enable filming in China. This is the second Chinese co-production Paramount Pictures made after Iron Man 3. Dwayne Johnson was offered the role of Flynn Vincent, but he declined due to scheduling conflicts with his movie Hercules: The Thracian Wars. Optimus Prime's alternate mode in this film is a customized Western Star 4900 SB truck. The design pays homage to Prime's G2 mode (where he was a 1995 Western Star 4964EX tanker truck) and Transformers Prime mode (where he took on the alternate mode of a military truck). 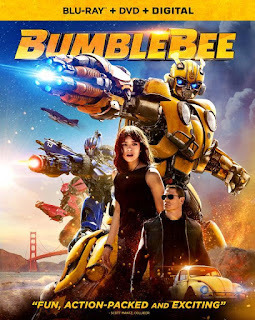 Bumblebee's alternate mode in this film is a 1967 Chevrolet Camaro SS automobile for some of the film then later a 2014 Chevrolet Camaro concept. Drift's original alternate mode was a Nissan Silvia 615 sports car, but this was revised to a Bugatti Veyron Grand Sport Vitesse sportscar. Hound's original alternate mode in The Transformers was a Mitsubishi J59 Military Jeep, but this was revised to an Oshkosh Defense MTV (Medium Tactical Vehicle) truck. Sunstreaker's alternate mode in The Transformers was a Lamborghini Countach, but this was revised to a race inspired Chevrolet Corvette C7 Stignray. Cliffjumper's Original alt mode in Transformers was a Porsche 924 turbo, but this was revised to a Chevrolet Sonic RS. 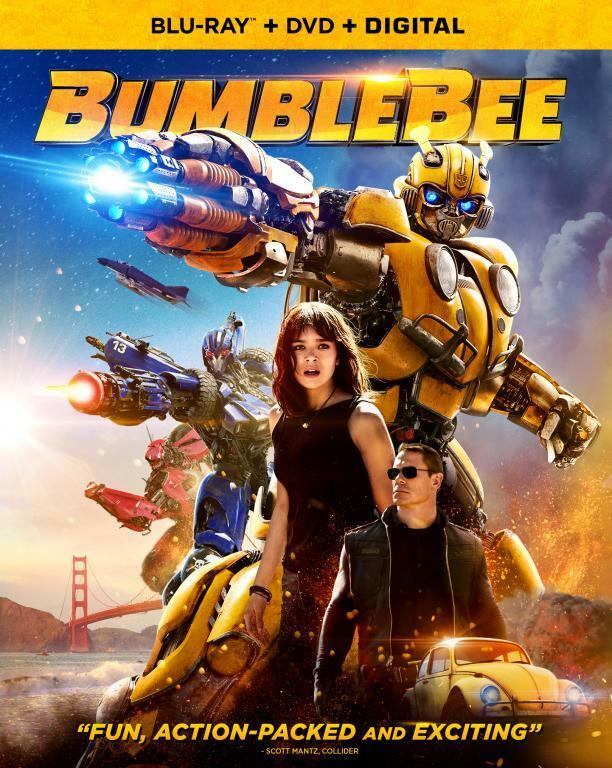 Mark Wahlberg asked that his children Ella Rae, Michael Robert, Brendan Joseph and Grace Margaret get roles in the film since they're "Transformers" fans. Lockdown's original alt mode in Transformers: Animated was a customized muscle car, but this was revised to a Lamborghini Aventador LP700-4. Rodimus' original alt mode in Transformers was a futuristic sports car, but this was revised to a Pagani Huayra. Megatron's alternate mode in this film is a 2014 Freightliner Argosy cab-over truck. This is an upgrade from his Mack Titans tanker truck mode from the previous film. The Red Epic Dragon Camera is named after Smaug the Dragon in the Hobbit. As the maker of this camera loved the book so much. Actually Peter Jackson showed it on fb page, but we unable to use it as the film is finished. All I ask is Sideswipe is in it and survives.